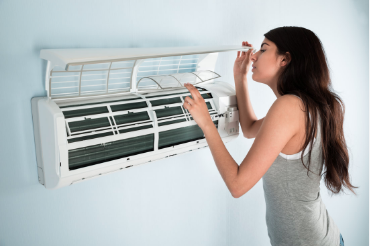 Most of us know or can relate first hand to the tough experience it can be realizing a broken air conditioning unit with little to no warning. Stuck in the heat and humidity, cramping your mood and making even the most simple tasks seem overwhelming. That's why we have made emergency AC repair one of our most diligent and easy to find and schedule HVAC services. Just click on the phone number above or below and it would be our privilege to talk and troubleshoot open and honestly about all solutions, estimated costs, and timelines, and if you choose to make us your partner we guarantee you will be amazed by our speed and thoroughness! Our number one goal is getting your home or business' climate control system functioning again with optimum efficiency at an awesome low price, in order to resolve your troubles with as little of an impact on the rest of your life as possible. 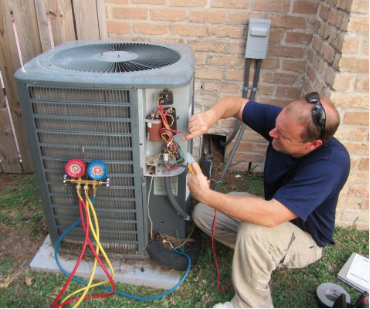 We have a stellar team of highly trained HVAC techs, who can quickly mobilize and arrive on location right away, or whenever it may be most convenient for you. All of our scheduling is flexible and customizable, so just inform us of your needs and we can work together to service you at the most optimum time, even within that very same day. Additionally we want to assure you that all work done by our teams in your home is fulfilled with the utmost respect for your dwelling, and we will treat it as our own when we arrive, often including the use of drop cloths and shoe coverings when necessary. It is important to note that while having your cold air completely cut out constitutes a perfect time to contact us for speedy repair, there are many symptoms you can look for that often correctly predict the failure of a unit, and if noticed can give you that extra time to let us sort it out before you ever have to feel their full effects. Very often this could mean strange noises, any type of knocking, squeaking, or buzzing can often be a sign for bad compressor motors, leaking refrigerant, an overcharged system and many other issues. Sound is many times the best indicator of something gone wrong in your system. 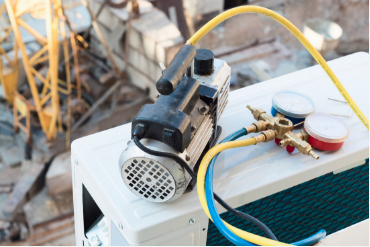 Other indicators that repair may be needed could include unusual smells from mold and bacteria buildup, weak or no airflow from dirty filters and malfunctioning blowers, and of course feeling warm air flow which is most likely the result of a refrigerant situation. If you need to get out of the heat, or into the heat depending on time of year, give us a call today and we will quickly show you why we are considered the best local 24 hour air conditioning and furnace repair service near you! Furthermore we will be sure and tell you about the promotions and discounts available to be sure and leave with a comfortable environment and a great feeling of value. We understand and appreciate that if your looking for an emergency fix right now, you're probably feeling the stress, but don't worry we have got your back and will work hard to return you to total comfort in no time! Everything we do, is backed by a passion of quality service, something you will find congruent throughout all of the AC Companies with which we associate!